You wouldn’t take your MacBook to a sketchy computer repair shop—so, why would you trust one of the most expensive appliances in your home to just anyone? Your HVAC system is one of the most important features of your home (and one of the most expensive!). To make sure it’s running accurately and efficiently, you’ll need to hire the best HVAC contractor near Loveland, Colorado. But how? Wondering how to spot a good HVAC contractor? Here, give you tips on how to find and hire the best HVAC contractor in Northern Colorado. 1. Ask for referrals (or check out online reviews!). When looking for a new HVAC contractor, ask friends first. Neighbors and friends will be able to tell you about the company’s reputation based on their first-hand experience. New to the area? Turn to Google reviews for guidance. 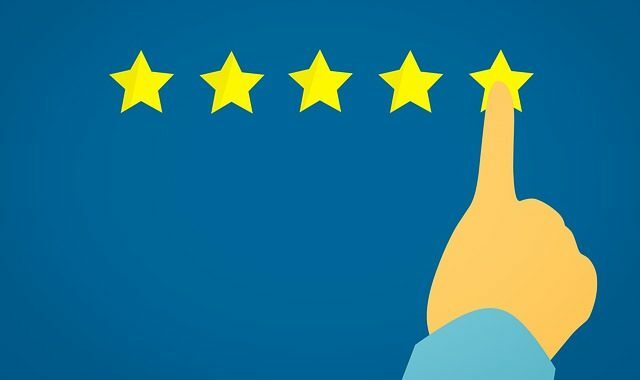 Google makes it difficult to write fake reviews and doesn’t allow companies to edit or remove negative reviews—so it’s typically a reliable source when choosing any service-based company. Mama always told you not to judge a book by its cover. While that’s still true, it’s a cliche to avoid when hiring a new HVAC company. Does the HVAC company you are considering have a quality website? Did they show up to your home in branded attire? Often, this means they are a well-established business. Companies without logos and no online presence might not be around long enough to hold up their end of a warranty—or may flake if your unit needs extra repairs. 3. Always ask about experience. Be wary of companies that tout experience over everything else. It’s great if an HVAC company has been in business for over 25 years, but like any field, HVAC is ever-changing. If you want your home to be smart and energy-efficient, make sure your contractor is well versed in cutting-edge technologies, too. Before hiring an HVAC contractor, ask about licenses. Most will have their license number properly displayed on their website or will be happy to give it to you when you ask. If the HVAC company your considering is hesitant about giving you their license number, be wary. If you choose an HVAC company without a license, there’s no guarantee of a job well done. 5. Shop around for fair pricing (and always get bids in writing!). When shopping for a new HVAC contractor, you should do just that—shop around. Get estimates from several different contractors and compare prices. If one is too low, toss it. If one is too high, toss it too. Also, make sure to get all bids in writing—it should include a list of everything you need to be done, plus itemized prices. Want to keep your home’s HVAC system running optimally? Choose Good Guys Home Services—the Fort Collins HVAC experts. You won’t have to fret about your furnace or cooling system’s performance ever again. Our HVAC professionals perform regular furnace and HVAC maintenance like tune-ups, inspections, cleanings, repairs, and more at the start of every season. Plus, we have raving reviews from neighbors and past customers all over Northern Colorado—take a look here. We are here to help with all of your heating and cooling needs throughout the year. Contact us today to schedule a maintenance appointment or learn more about our HVAC services here. Want to chat with a technician? Give us a call today at (970) 818-8008—we can’t wait to speak with you! We offer year-round HVAC services for heating, cooling, and more throughout Northern Colorado. Located in Fort Collins, we also serve the following areas: Loveland, Ault, Greeley, Denver, Windsor, Boulder, and Longmont, Colorado.